If you have any questions about the HAPPY SEA LODGE information page below please contact us. This well sized luxury yacht HAPPY SEA LODGE is a motor yacht. This 31 m (101 foot) luxury yacht was crafted by Southern Ocean Yachts in 1992. Superyacht HAPPY SEA LODGE is a impressive yacht that is able to accommodate as many as 6 passengers on board and has around 4 qualified crew. The yacht's general design work came from Lexcen Lowe. The technical naval architect plans are a work of Lexcen Lowe. In 1992 she was actually launched to accolade in Kincumber Nsw and following sea trials and detailing was then delivered to the yacht owner. Southern Ocean Yachts completed their new build motor yacht in Australia. A moderate proportion is manifested with a maximum beam (width) of 6.71 metres or 22 feet. With a 1.71m (5.6ft) draught (maximum depth) she is shallow. The material composite was used in the building of the hull of the motor yacht. Her superstructure above deck is fashioned with the use of composite. This boat sustains twin capable MAN diesel engine(s) and can touch a invigorating top speed of around 22 knots. The main engine of the ship creates 1000 horse power (or 736 kilowatts). Her total HP is 2000 HP and her total Kilowatts are 1472. HAPPY SEA LODGE is propelled by twin screw propellers. The well sized luxury yacht M/Y HAPPY SEA LODGE can sleep up to 6 people in addition to 4 crew members. 30.75 metres / 101 feet. Total engine power output 2000 HP /1472 KW. Approximate Cruise Speed is 18 knots. 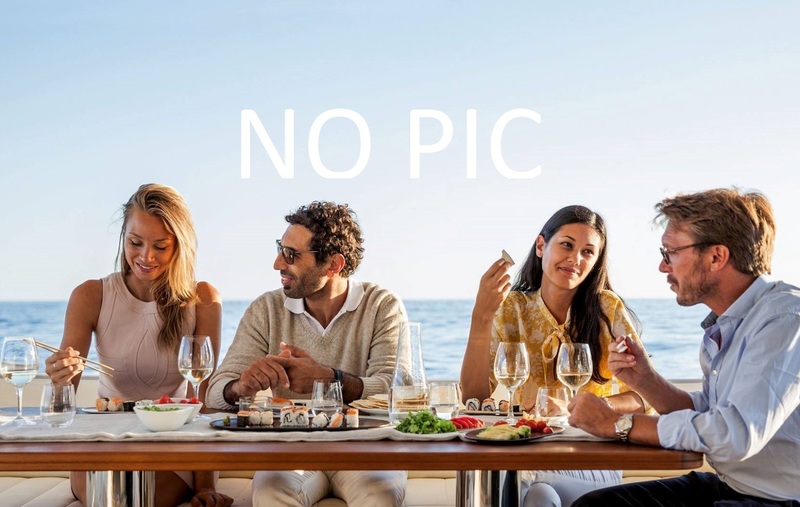 The luxury yacht HAPPY SEA LODGE displayed on this page is merely informational and she is not necessarily available for yacht charter or for sale, nor is she represented or marketed in anyway by CharterWorld. This web page and the superyacht information contained herein is not contractual. All yacht specifications and informations are displayed in good faith but CharterWorld does not warrant or assume any legal liability or responsibility for the current accuracy, completeness, validity, or usefulness of any superyacht information and/or images displayed. All boat information is subject to change without prior notice and may not be current.